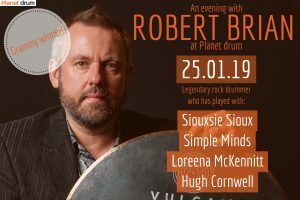 Rob has been playing professional for 35 years and has worked with:Loreena McKennitt, Laura Pausini, Goldfrapp, Siouxsie Sioux, Simple Minds, Peter Gabriel, BlackBox, Andy Partridge/Colin Moulding XTC, Miles Kane, Hugh Cornwell, Herbie Flowers, Modern English, Clara Ponty, Jason Rebello, Coati Mundi, Innes Sibun and more. Rob will be talking about his experiences in the studio & on the road and he’ll be sharing gems of information that he feels all working drummers should know. He will also give you plenty of exercises and patterns to take away, and you’ll get the chance to ask questions and hear Rob play studies from his upcoming educational package ‘Technique & Musicality’ Volume II. 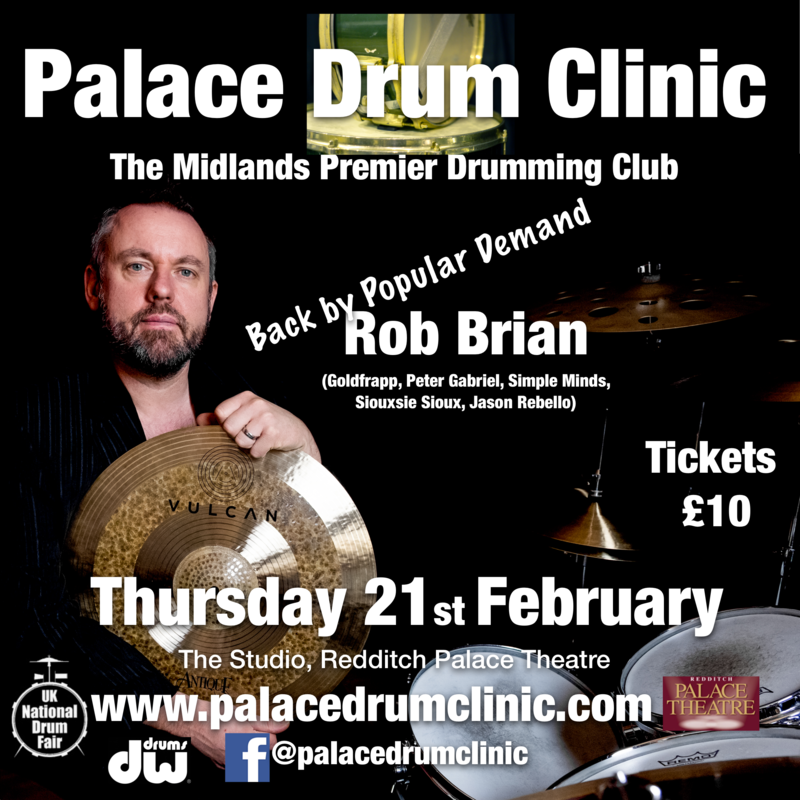 This will be my second appearance at The Palace Drum Clinic and I am really looking forward to it! My visit last year was a great experience and this years will be just as good I am sure. Last year I started with an opening solo and then 29 minutes later I stopped playing!! This time I promise to do plenty of playing, but also demonstrate some things that you can take away and add into your drumming and your practice sessions. Matthew Green runs this fantastic drummers gathering and also plays at the clinics, demonstrating many drumming skills and techniques etc. If you are looking at improving your drumming skills then get yourself a ticket and we’ll see you there! “If you like ZZ Top or The Hamsters, this is for you!” Blueprint magazine. Graham Dents trio performing both original and Jazz standards, a classy evening of laid back swinging music. From the South West of England and dynamically combining traditional blues with blazing Brit rock. Expect hard guitar and an in-yer-face performance from Jamie Thyer and the lads. Think of Thorogood, Gary Moore, Wilko Johnson – get the idea? If you like ZZ Top or The Hamsters, you are in for a special treat! Relive the heady 1960s as this unforgettable live band whirls you through the decade of the British Explosion, from early 60s kitsch to rooftop rock, and everything in between. Sixties Britain created a style and sound all its own – and made the world sit up and take notice. What’s In The Show? : The broadest range of authentic sounding British 60s Music presented in a single show anywhere! Beloved hits together with evocative film and TV music of the era, lovingly curated and expertly presented in a multimedia show with a cracking live band.